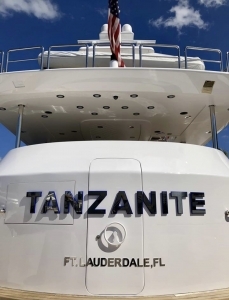 Innovative Creations has been diligently working on the refit to the 145′ Tanzanite Yacht. After nearly 1 year working on this amazing super yacht, it will soon be ready to be enjoyed! Please click here to view our portfolio and look at our current progress of the Tanzanite.